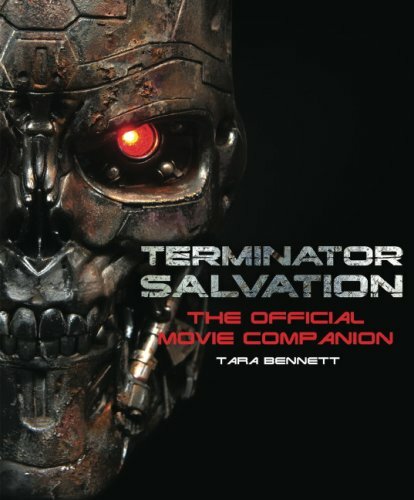 The book covers production design, building the terminators, costume designs, creating the chase scene, stunts, cinematography and visual effects. In between those sections are features on the characters John Connor, Marcus Wright, Kyle Reese, Kate Connor, Blair Williams, Barnes and Dr Serena Kogan. The writeup is on casting and the characters role in the movie. Strangely, there are no quotes from Christian Bale in the book. So anything that's written about him are in the lines of 'Christian Bale is this' and 'Christian Bale is that'. They can't even get an interview with Christian Bale for the book. Seriously? And no, there's nothing on the heated argument Christian Bale had with the lighting guy. Lots of set photos are included, with a handful of concept art. Much of them are actually behind the scenes photos and very few film stills. In the section on the Terminators are photos of the many models of Terminator: T-1, T-600, T-700, Marcus and Hydrobot. Plenty is written on creating, modeling, making them gritty and textured for the movie. Looking at the set photos reveals how the Terminators are shot — there are actors wearing skin tight blue suits below the metal skeleton costumes. Much of the book talks about achieving the look required for believability. Production stories are plenty, like how the workers set up close to a hundred sets for filming, picking costumes, post-processing the film, etc. The book also doesn't talk in depth on the plot of the movie so there are no major spoilers. In essence, this is like an oversize magazine, great for some light reading, recommended more for Terminator fans. Note that there are both paperback and hardcover editions. Is there more info in the paperback? Jim - I'm don't know about the differences in pages. I'll update if I managed to get a look at the hardcover (mine's the paperback).